Lee is a candidate to be traded or cut by the Jets, Matt Stypulkoski of NJ.com reports. Lee had his suspension lifted Monday, according to the NFL's transaction report. Analysis: Lee was hit with a four-game suspension to end the year for violating the NFL's substance-abuse policy. The Jets will now face the decision of whether they wish to extend a fifth-year option to the linebacker. If the fifth-year option is not exercised by May 3, Lee will become an unrestricted free agent at the end of the 2019 league year. The 2016 first-round selection recorded 74 tackles, five pass breakups, three interceptions and a touchdown through 12 games this season. Lee received a four-game suspension Friday for violating the NFL's substance-abuse policy, Ian Rapoport of NFL Network reports. 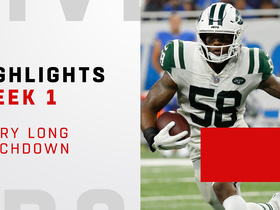 Analysis: Lee posted his highest single-game tackle total of the season during the Week 10 loss, during which time the Jets' defense was outmatched by Buffalo's offense during all phases of the game. The 2016 first-rounder's tackle volume and work in pass coverage keep him on the IDP radar, and Lee will look to log another strong performance against the Patriots in Week 11. 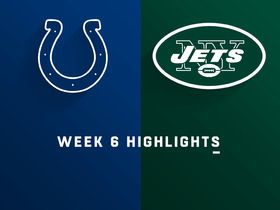 Lee led his team with eight tackles (six solo) while adding a pass defended and an interception in Sunday's 42-34 win over the Colts. Analysis: Lee returned the interception 25 yards before being taken down. The coverage linebacker has really blossomed in his third season, having already recorded three interceptions through six weeks after failing to pick off a single pass in his first two seasons. Lee posted two interceptions and seven tackles (six solo) in Monday's win over the Lions. Analysis: Lee managed to return one of his two interceptions Monday for a touchdown, giving the Jets their first defensive score since 2013. He was the star performer on a Jets defense that was dominant on Monday night, and while this level of production is obviously not sustainable, Lee is off to a great start to his third NFL season after recording the first two picks of his career. 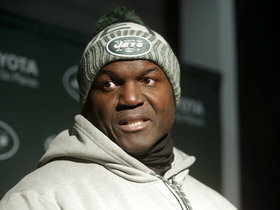 Lee will be the primary play caller on defense this season, Manish Mehta of the NY Daily News reports. Analysis: The Jets signed Avery Williamson to replace Demario Davis as the "mike" inside linebacker in their 3-4 defense, but Lee likely will retain a three-down role while handling play calling from the "mo" spot. The 2016 first-round pick played 1,028 defensive snaps last season, notching 94 tackles (67 solo), three sacks and two forced fumbles in 15 games. Davis led the team in both tackles (135) and sacks (five), with his 1,118 defensive snaps ranking first in the entire league. Lee finished the 2017 season with 94 tackles and three sacks. Analysis: Lee's playing time greatly increased from his rookie season, and he paid it off by racking up 21 more tackles and two more sacks. He was consistent for the Jets throughout the season and even reached double-digit tackles twice. Davis is signed through the 2019 season, and there's every reason to believe he'll be back in the middle of the Jets' defense next season. 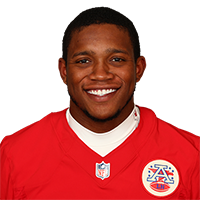 Lee did not play in Week 13's game against the Chiefs due to a violation of team rules, Andy Vasquez of New Jersey's The Record reports. Analysis: According to Ralph Vacchiano of SNY, Lee was late for practice, resulting in his inactivity. The punishment for the violation should not carry into Week 14, but check up on Lee's status in the coming days to confirm his clearance. Lee has been ruled out for Sunday's game against the Chiefs due to a coach's decision, ESPN's Adam Schefter reports. Analysis: Lee's inactive designation comes as a surprise this week, and Jets coach Todd Bowles is expected to address the decision following the conclusion of the game. In the meantime, Julian Stanford and Bruce Carter figure to see additional reps at inside linebacker next to usual starter Demario Davis. Lee had six tackles (four solo) and a sack in Sunday's 35-27 loss to the Panthers. Analysis: Lee has been a fairly consistent IDP option this season, and played every defensive snap Sunday. The sack was the third of the season for the 23-year-old, which matches up against the Chiefs in Week 13. Lee had eight tackles (five solo) and a sack in Thursday's victory over the Bills. Analysis: Lee played all 75 defensive snaps and tied for the team lead in tackles with Demario Davis. The 23-year-old has 63 tackles (45 solo), two sacks and two forced fumbles through nine games as the Jets head into their bye week. 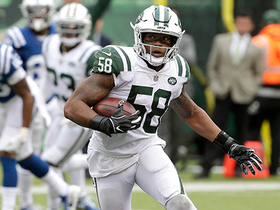 New York Jets linebacker Darron Lee leaps for the interception from Indianapolis Colts quarterback Andrew Luck. 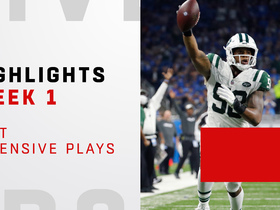 Watch highlights of the New York Jets-Detroit Lions matchup in Week 1 of the 2018 season on Monday Night Football. 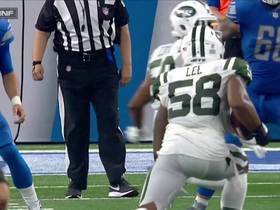 Watch highlights of the New York Jets' best defensive plays against the Detroit Lions during week 1 of the 2018 season. 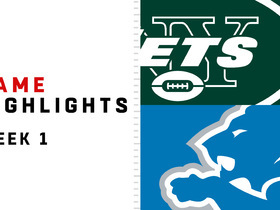 Watch every one of the New York Jets' long touchdowns from their Week 1 win over the Detroit Lions. 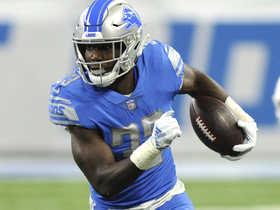 Detroit Lions running back Kerryon Johnson makes a one handed catch against the New York Jets in Week 1 of the 2018 NFL season. 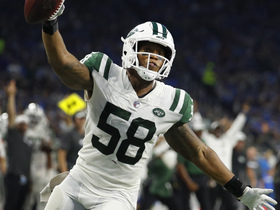 New York Jets linebacker Darron Lee catches his second interception thrown by Detroit Lions quarterback Matthew Stafford. Jets linebacker Darron Lee talks about Packers defensive end Muhammad Wilkerson and Jets head coach Todd Bowles. 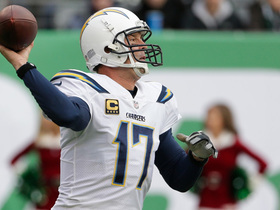 Los Angeles Chargers quarterback Philip Rivers throws to fullback Derek Watt who rushes for a 23-yard gain.